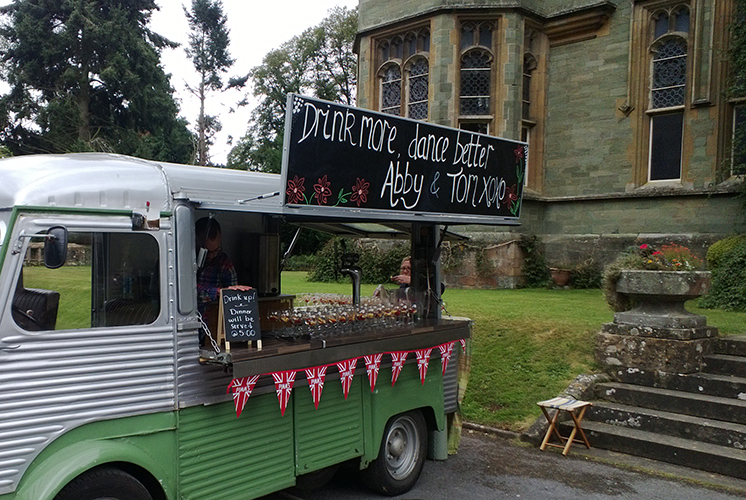 Pimm’s, Cider and Lager were served as the guests arrived at the entrance to Quantock Lodge. It had threatened to rain all day but fortunately it brightened allowing all the guests to explore the lodge’s gardens. In the evening we were prepped and armed full of spirits and kegs. The cold Carlsberg was a hit with the guests, we were mesmerised by several of the American accents (Abby being American). The day went really well and we met quite a few interesting characters. 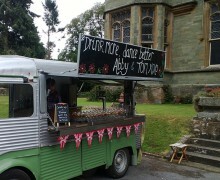 Congratulations to Abby & Tom, we wish you all the best whether it’s overseas or here in Somerset.